¡¡ Long Overdue Update !! 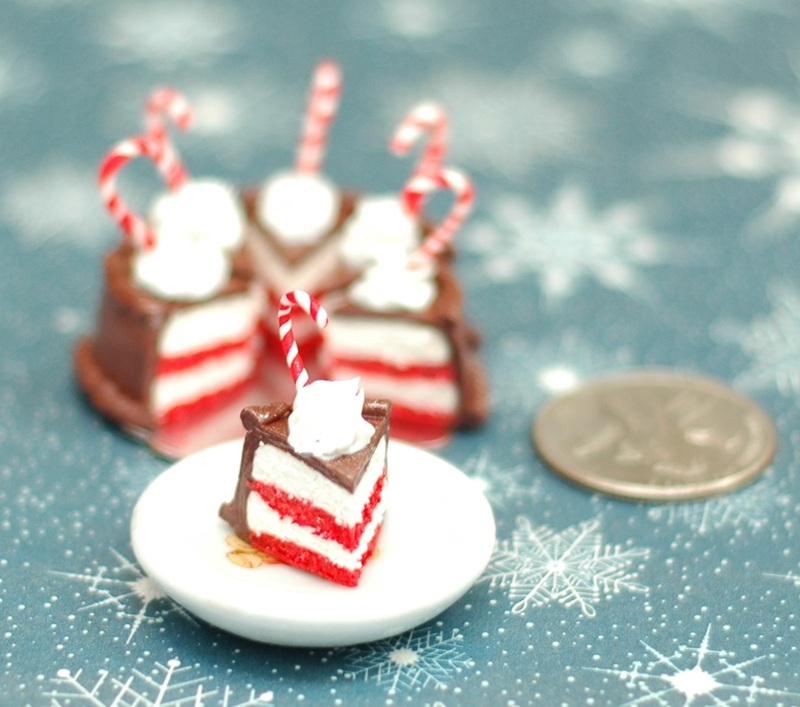 – Sweets yaaaay! This is the third of the update posts, I saved the best for last ^_^ Before continuing though, I just want to say thanks again for coming back, and don’t worry, I won’t do a triple update like this again any time soon ^_^;; Without further ado, on with the show! 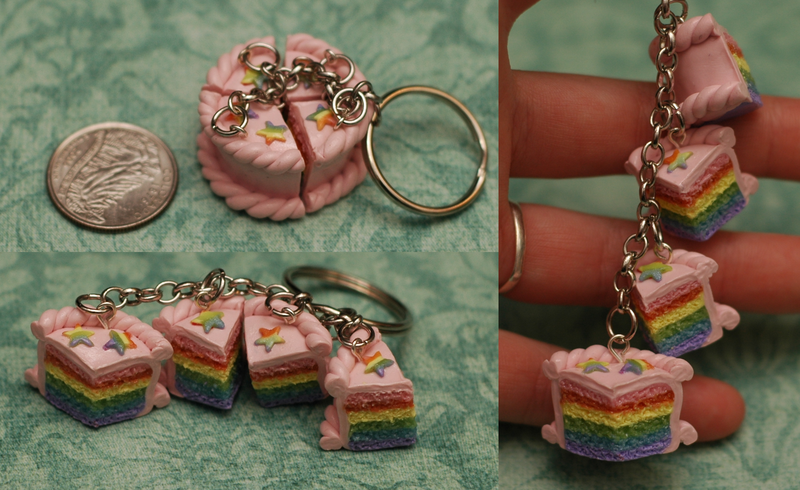 Rainbow Cake. You know, I really like rainbows, but I am afraid if I make too much rainbow stuff, it’ll scare people away, so I try and keep it to minimum. This though, has to be one of my favorite pieces so far. Project T.A.R.T. 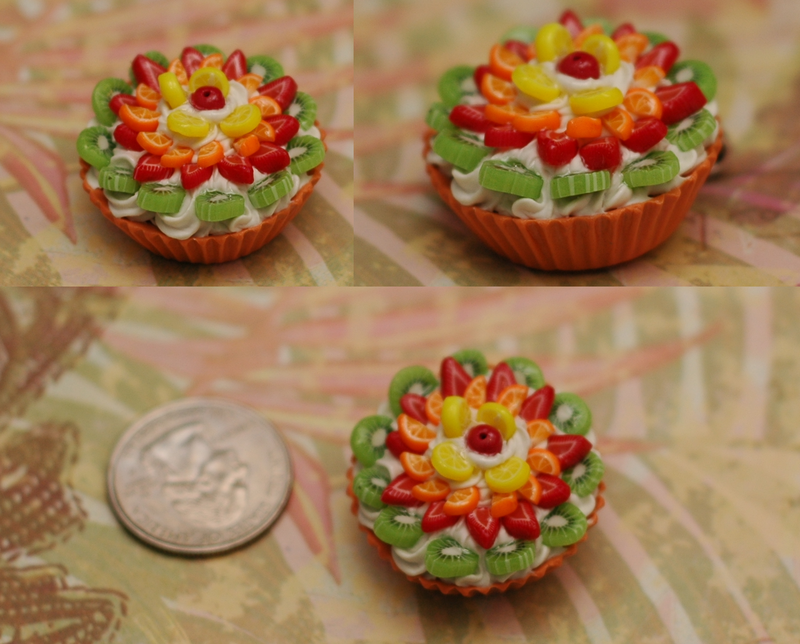 is complete :3 This is *the first* successful, realistic looking tart. I am so proud of this piece that I have it sitting on my desk so I can look at it from time to time. 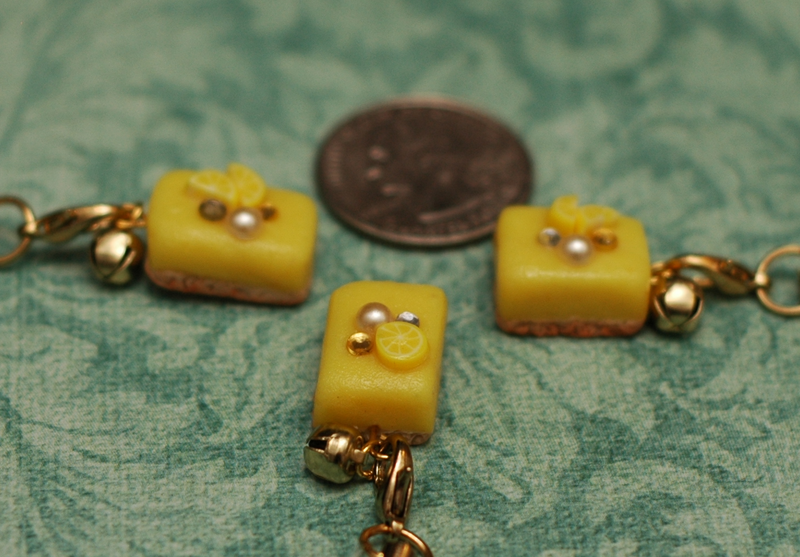 This is really easy to replicate, so if I need to make more I can. yay TARTS! 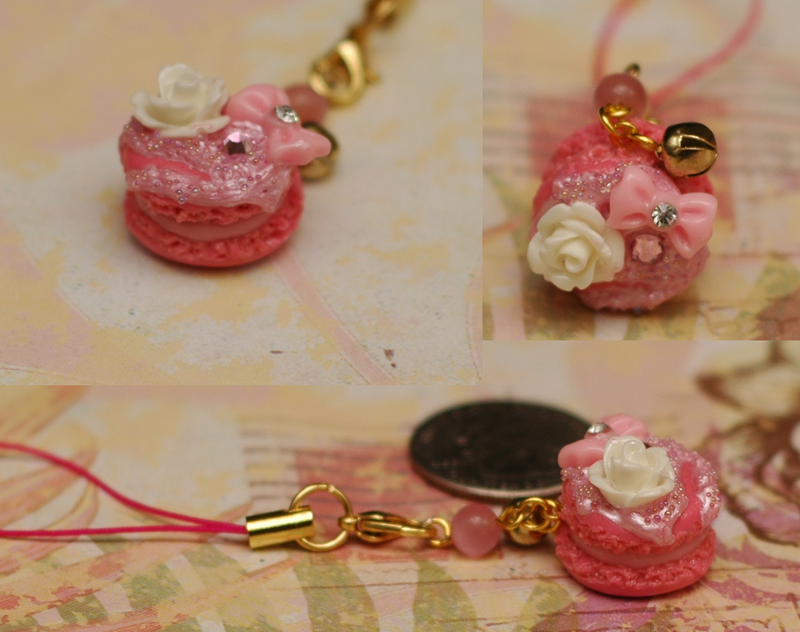 A pink macaron with white frosting and little cane slices. 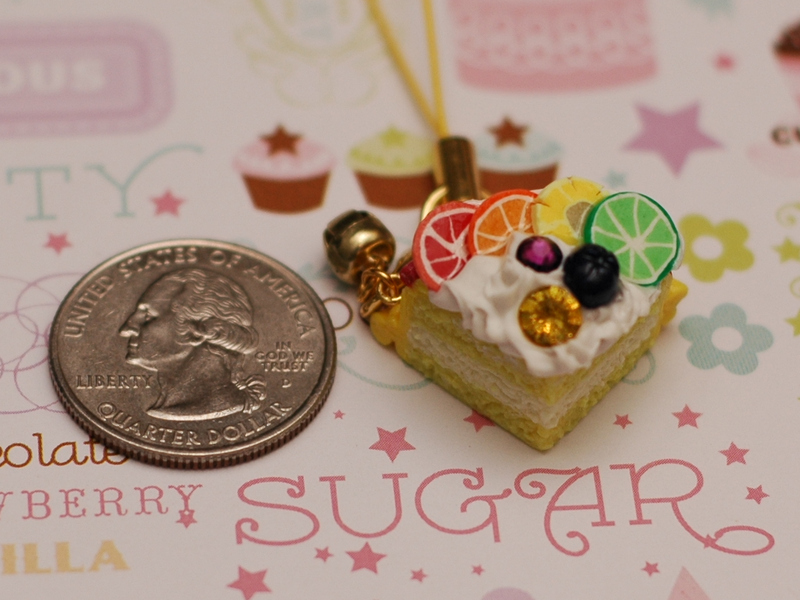 This is a cake charm with cane slices, in a quasi rainbow pattern. 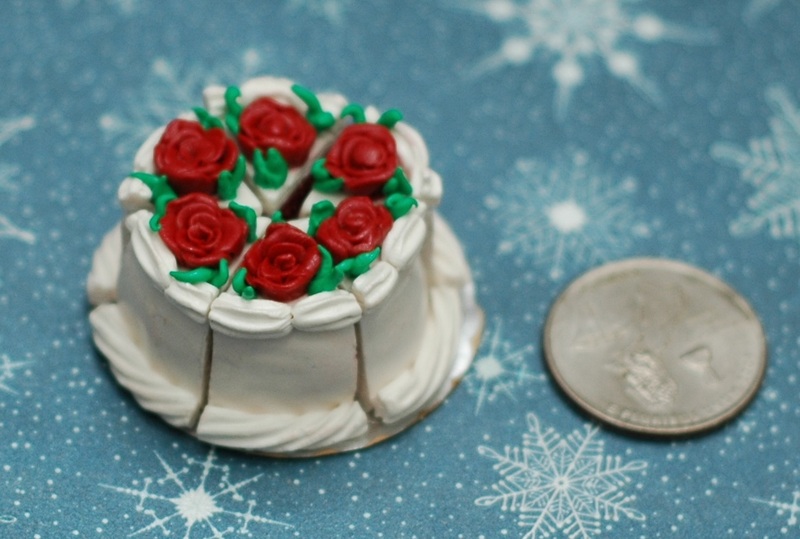 A triple layer cherry cake with roses on top. It’s surprising light for how dense it is. 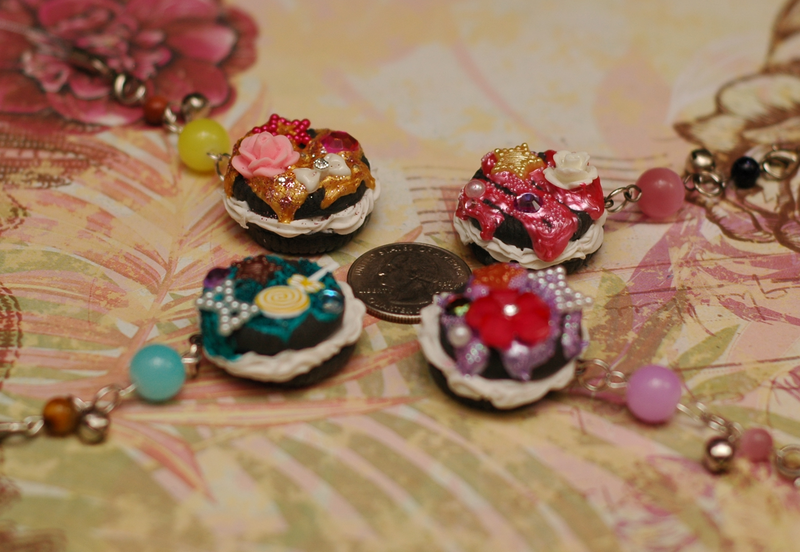 Here are Oreo Cookies with decoden :)) These pieces are so fun, it’s really hard to accept parting with them, but I would really like someone else to be able to enjoy them even more. Last but not least is a popular item from my stock and with other crafters – the chocolate bar pencil box with a personal touch. 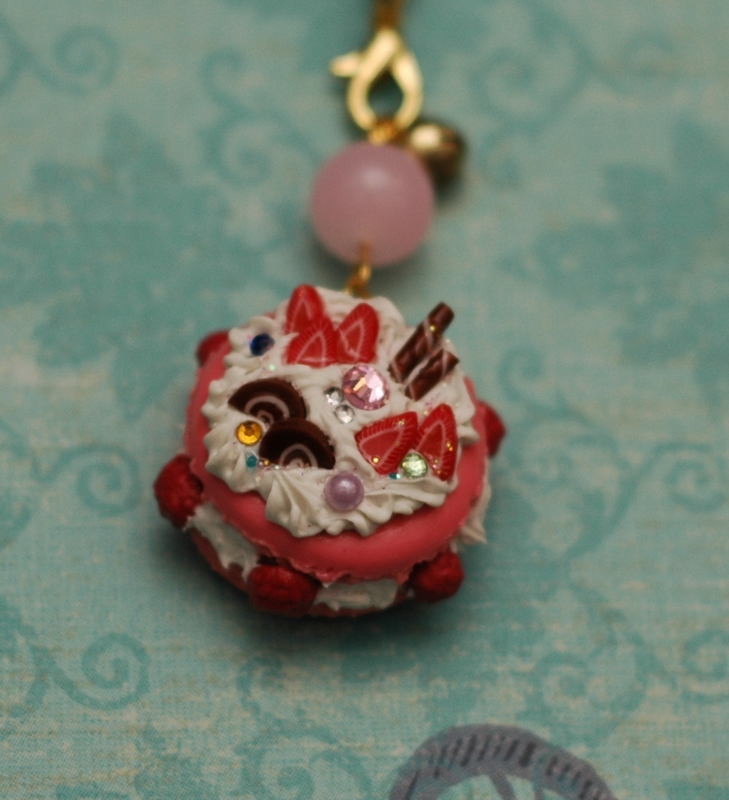 Next time I hope to have some Sailor Moon stuff, seeing as how it’s been so popular thus far, and quite frankly I heart making those items as much as cakes. Ciao! (￣▽￣)ノ＿彡☆バンバン！! As I was going through images on the computer in search of a new Gravatar, I found some pics that I totally forgot I uploaded to the computer So, I apologize for the lateness of these! 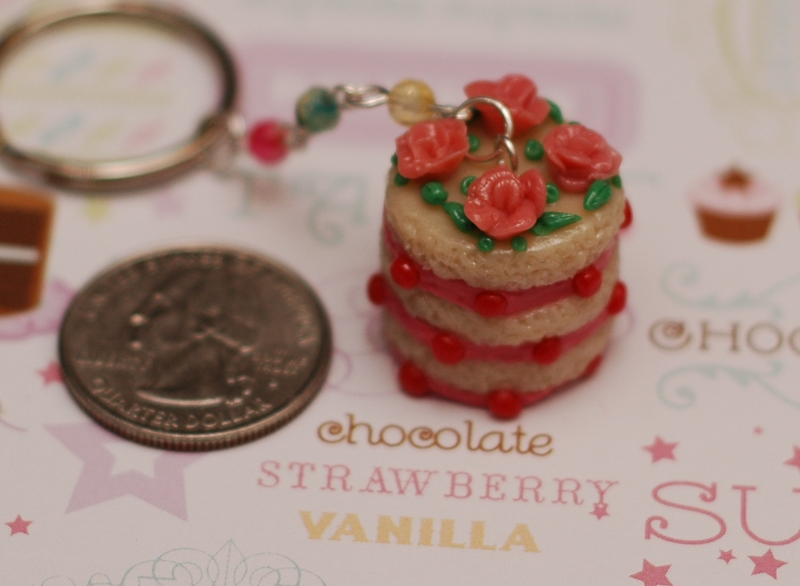 This is the full view of a Red Velvet Cake, and also my first attempt at making miniature roses! Woo! This is indeed a triple layer cake. 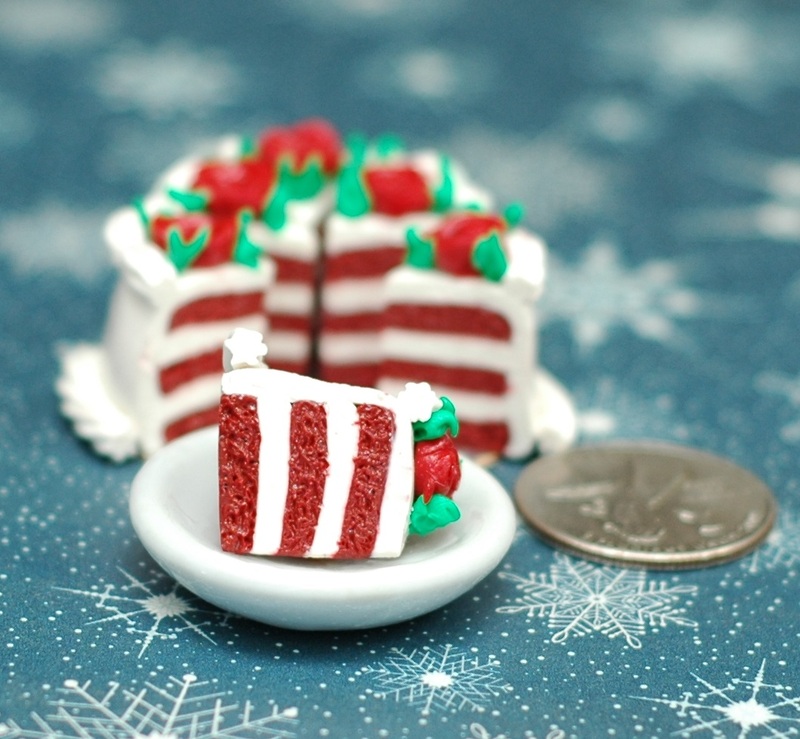 For some reason this cake reminds me of Dr. Suess. 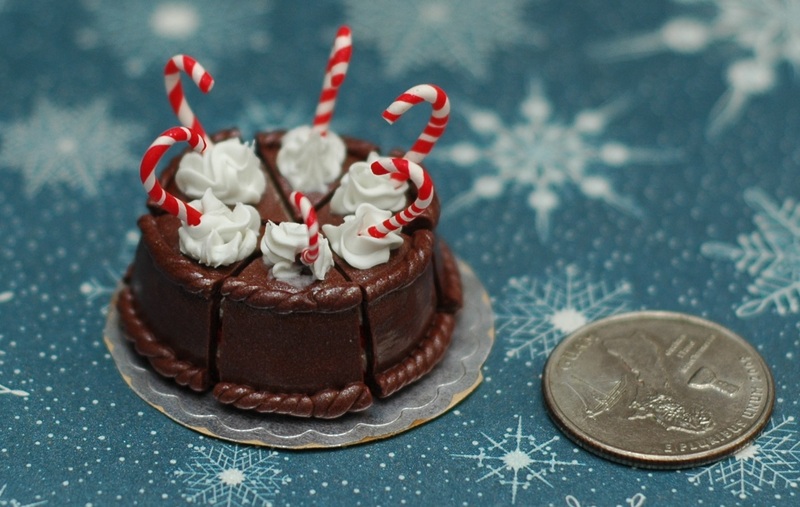 It is a Chocolate Peppermint Cake. 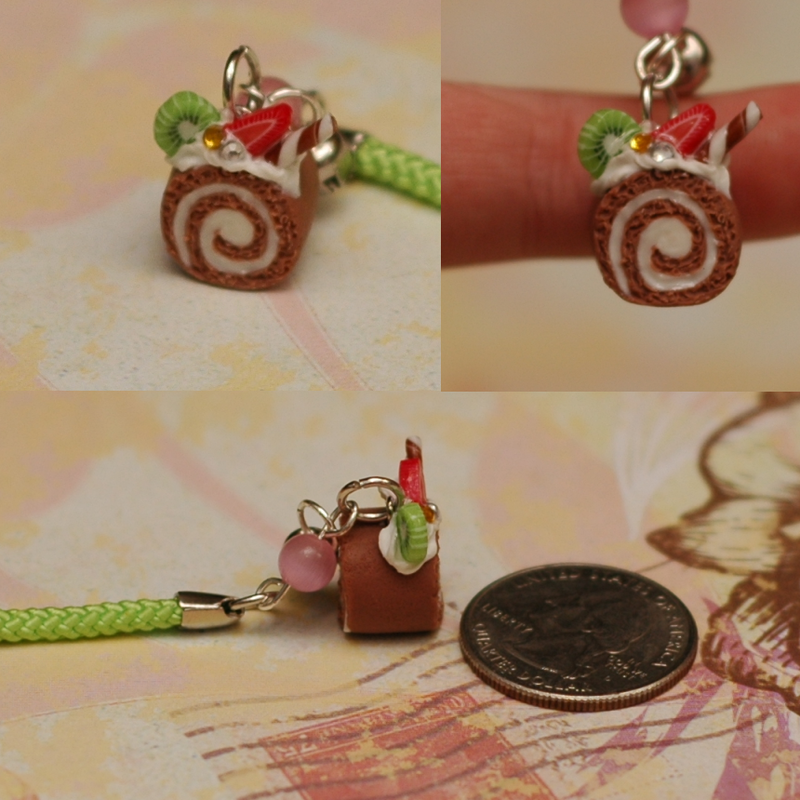 The lil’ cake roll family with a wild macaron appearing. 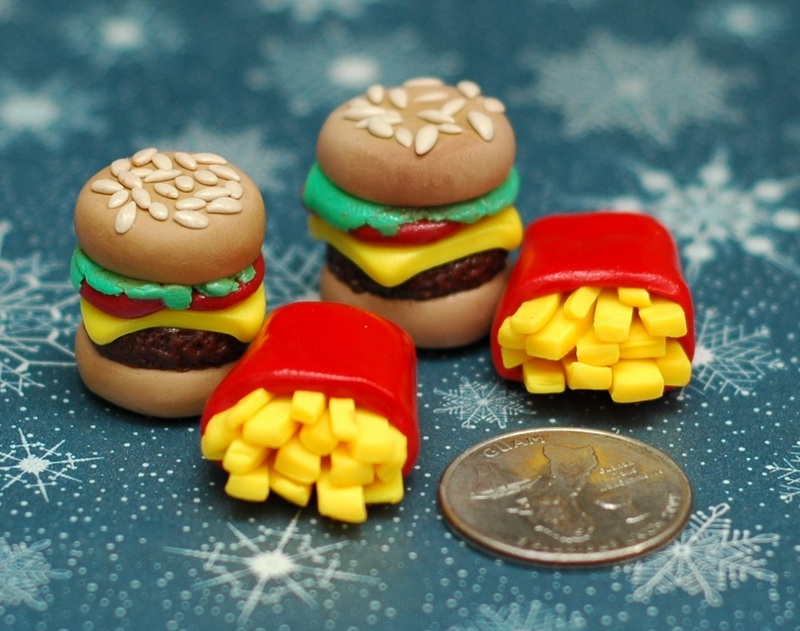 This was my first try at Burgers and Fries. Have a nice day, everyone! See ya next time! (^-^*)/ｺﾝﾁｬ! Sorry I haven’t updated in a long time. Been pretty busy with all this real life stuff. Anyways, on with the show! 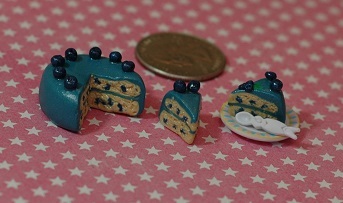 This little slice has a leaf sprig and some extra blueberries to be even more cute. 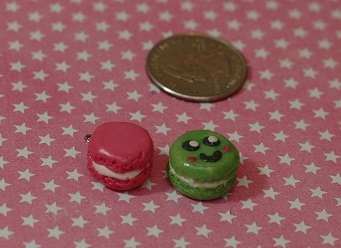 There are macaron cookie sandwiches. 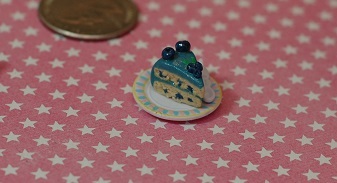 This was the first time I made a little face on a sweet :p I really like the cuteness factor so expect more faces in the future. Yay the first worthy tart that I have made!! Finally I have a good mold or two for them. 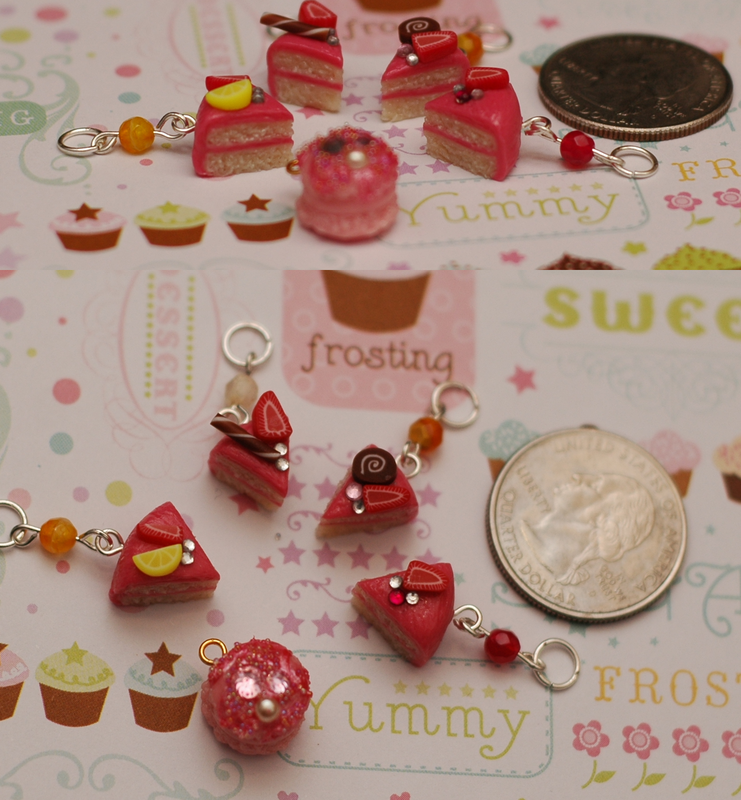 Now I am working on more miniature fruits to put in future tarts. The witch is from Wicked, this was a practice version I made prior to completing the movie poster charm. 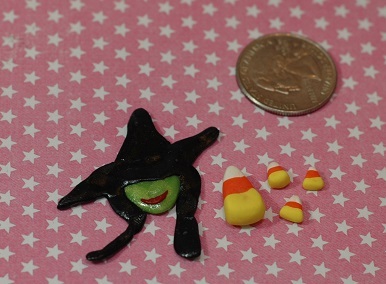 The candy corn and the wicked witch will most likely go on a Halloween themed box of some sorts. 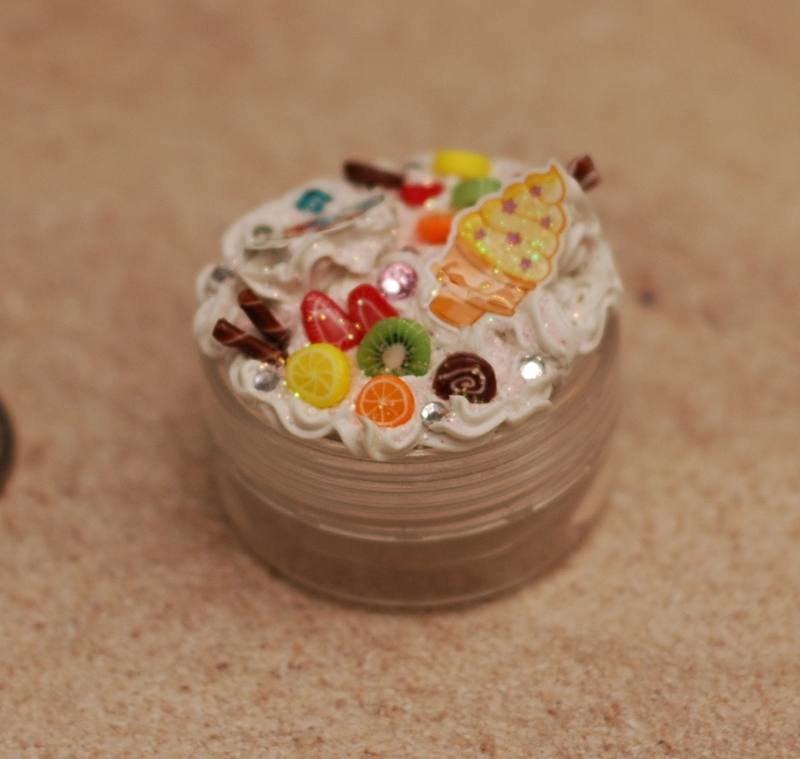 I meant to upload images of a couple ice cream cones I made. One of them looks very very real ^_^. But, the stupid camera didn’t focus right on the ice cream cones, so they will have to be retaken. They deserve their own post as it is.